In 1986, Former Port Authority employee transferred legal rights to “World Trade Center” to organization that then paid him millions. Albany, NY - September 18, 2013 - Governor Andrew M. Cuomo today referred for investigation the World Trade Center Association (WTCA)’s acquisition of the rights to the “World Trade Center” name and the tens of millions of dollars in subsequent profit that has been made over the past decades as a result of selling rights to use the World Trade Center name to Attorney General Eric Schneiderman. The Governor’s actions come after recent news reports detailed how a former Port Authority executive named Guy Tozzoli created the WTCA, a nonprofit organization, in 1986 managed to secure for the WTCA for just $10 the exclusive rights to use the World Trade Center name without obtaining the approval of the Port Authority’s board or even its executive director, and then within months left the Port Authority to become the WTCA’s president. Thereafter, the WTCA registered additional marks with the U.S. Patent & Trademark Office for the “World Trade Center” name for the sole benefit of WTCA rather than the Port Authority. Using the millions of dollars in annual revenue from licensing fees paid by companies around the globe for use of the World Trade Center brand, Mr. Tozzoli received exorbitant annual compensation from the WTCA above and beyond his Port Authority pension for approximately 25 years. In cooperation with the Port Authority, the Governor today requested the Attorney General to examine whether or not the WTCA properly acquired from the Port Authority and developed the exclusive rights to the World Trade Center brand and whether Tozzoli and/or other individuals improperly received the benefit of such intellectual property without right at the expense of the Port Authority and the taxpayers of the State of New York. If the investigation finds any wrongdoing, the Governor has requested that the Attorney General seek to recover the benefits of the World Trade Center brand by all available means, including Section 63-c of the Executive Law, also known as the Tweed Law. To view the letter sent by Governor Cuomo to Attorney General Schneiderman, go to: http://www.governor.ny.gov/assets/documents/schneidermanwtcletter.pdf. Where any money, funds, credits, or other property, held or owned by the state, or held or owned officially or otherwise for or in behalf of a governmental or other public interest . . . has heretofore been, or is hereafter, without right obtained, received, converted, or disposed of, an action to recover the same, or to recover damages or other compensation . . . may be maintained by the state in any court of the state, or before any court or tribunal of the United States . . . . The attorney-general shall commence an action, suit or other judicial proceeding, as prescribed in this section, whenever he deems it for the interests of the state so to do; or whenever he is so directed, in writing, by the governor. 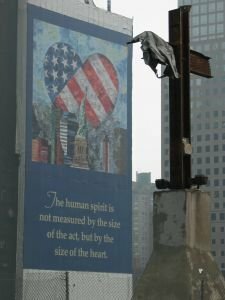 Subject: LongIsland.com - Your Name sent you Article details of "Governor Cuomo Refers Investigation Regarding Not-For-Profit Organization Making Millions of Dollars Off Sales of "World Trade Center" Naming Rights t"